The newest addition to E.P. Carrillo Cigars’ Dimensions Series, the INCH RINGMASTER, is a statement by Master Blender, Ernesto Perez-Carrillo that celebrates the “big-ring-gauge” trend the Carrillo cigars brand helped pioneer, while also proving how bigger can indeed be better thanks to the craftsmanship and attention to detail for which the brand is known. The name is inspired by Ernesto himself, often referred to as “the RINGMASTER” for being among the first to boldly offer larger ring-gauge cigars, and then perfect the art of blending the ideal mix of tobaccos for big-ring-gauge cigars. The Dimension Series is a nod to this creativity, and like the rest of the INCH line, the RINGMASTER invites smokers to break free from the expected and find new and enticing “Dimensions” to the way they enjoy cigars. E.P. Carrillo announced the official launch of RINGMASTER at the IPCPR 2018 Trade Show at the Las Vegas Convention Center in Las Vegas, Nevada and soon, it will be ready to hit the shelves of humidors near you! As a new member of the INCH line, the RINGMASTER is a true INCH-sized cigar, a 64-ring gauge adorned with a dark Nicaraguan wrapper that covers Nicaraguan binders and fillers, making it the first Nicaraguan Puro in E.P. Carrillo Cigars’ INCH line. With a spicy top note of black pepper, the RINGMASTER leads to a set of mid notes containing wood, earth and nutty flavors that lead to a long, subtle and sweet finish. 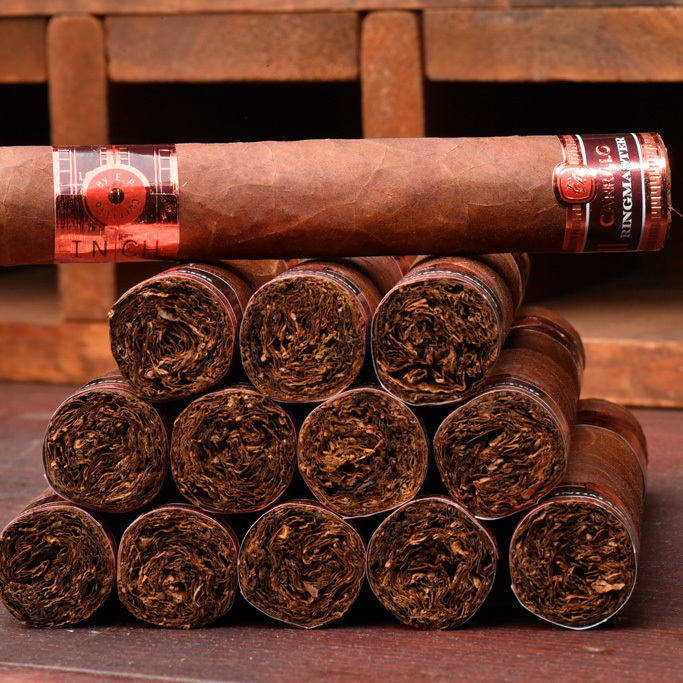 The cigar is easy on the draw and a full mouth of smoke that will entice the smoker with rich, creamy and balanced flavors. Available in two sizes, 5 3/8 X 64 and 6 1/2 X 64, this complex cigar is sure to leave cigar lovers coming back for more. For more information about E.P. Carrillo, including products, retailers and events, visit www.EPCarrillo.com and follow us on social media!